With DFX you can transform the sound of your PC into that of an expensive stereo system placed in a perfectly designed listening environment. Renew stereo depth, boost your audio levels and produce a deep, rich bass sound. 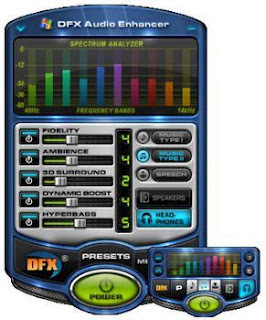 The easiest way to use DFX is to simply turn it on with its standard settings. You will immediately be amazed at the added clarity and punch that your audio player now provides.